to Draymmond Green but you do not disregard what is arguably the best all-around scorer the NBA has ever seen in Kevin Durant with the game on the line, specially snag the rebound away from him and storm up the floor and lose the ball causing the Warriors the game. I’m not here to criticize Draymmond though, he made a mistake emotions ran high and stuff happens. But to tell Durant we were winning without you? Yup I think it’s time for Kevin Durant to pack his bags, collect this third championship and head elsewhere to show Draymmond Green how much of a difference he has made on the Warriors over the past 2-3 years? After all he has won Finals MVP both seasons they’ve won the Finals and he is the one player opposing teams can’t stop. Now to Anthony Davis who has been on a Pelicans team which has struggled to put the necessary pieces for him to compete for a title and he has already put it out on the media how he has to play perfect just so the Pelicans can win. Credit to GM Dell Demps for bringing in DeMarcus Cousins last season which made for a quite interesting tandem of what most would agree are the top bigs in the game but you failed to re-sign Cousins this past summer. Failing to re-sign Cousins might just have cost Demps any shot at re-signing Anthony Davis. I mean I like the moves he has made bringing in Elfryd Payton to replace Rajon Rondo and also signing Julius Randle who is a young talented big with lots of potential but that’s not going to get Davis out of the West let alone win him a ring in New Orleans. Look at the bright side though if you lose Anthony Davis, Julius Randle isn’t a bad option to build around and no I am not being sarcastic. Julius Randle is only 23 years old and has said he’d like to remain a Pelican long-term despite just signing a 2-year deal with an option after this season. I mean let’s put the puzzle together, why would LeBron James sign a 4-year deal with the Los Angeles Lakers if playing with this young core was what he would be facing to lead? Just does not click especially since he’s lost a step and no longer the high flying 2-way specimen he used to be in Miami. He’s still a superstar but he doesn’t exert himself on defense the way he used to in Miami, the motor is just not there anymore or maybe he’s just saving it for when Durant and Davis join him and he knows he’ll actually be competing for something. A lot of people look over the fact that Anthony Davis signed with Klutch Sports which is the agency LeBron is signed with ran by Rich Paul, I mean could it be more obvious that Davis will be a Laker eventually? He might even be a Laker by the trade deadline, regardless it’s a win-win situation for LeBron and the Lakers because they would overtake the Warriors the moment they snag KD from them next summer. I am not the biggest LeBron fan but if you take Durant off the Warriors they are very beatable, he is what makes the Warriors the juggernaut they are. From the commercial where LeBron and Durant where in the backseat vibing and laughing to LeBron making Durant and Davis his first 2 choices in last year’s All-Star game, the writing is on the wall. After all, who is most ticked off at Durant jumping ship to the Warriors? 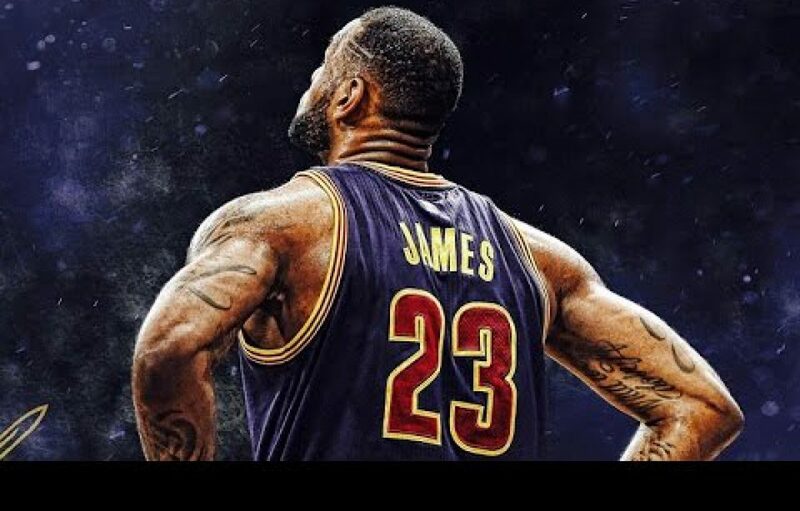 The LeBron fan base and I think most would agree the LeBron fan base is a good portion of the NBA and if Durant joins LeBron the critics will surely go away. Durant has always been a superstar who cares heavily about what others think, and sure some will still think joining LeBron isn’t him proving he could win a title by himself but the haters will go away for the most part. Durant’s mother is fond of LeBron and Magic which is another sign of Durant coming to the Lakers. Plus if you are Durant right now despite squashing your differences with Draymmond that will be eating alive at you all season the fact that he feels the Warriors can win without him. What better way to stick it to Draymmond to join the Lakers and obliterate the Warriors next season? With or without Davis, LeBron and Durant in LA should be enough to knock the Warriors off their throne. Anthony Davis is still super young so you figure he plays 4-5 years with LeBron and Durant and the Lakers are his, he’ll only be 29-30 by then and should still be a superstar with at least 3-4 years of superstar ball left in him barring injury. I thought eventually the super-teams would go away but it seems like it will be an ongoing trend, this is what LeBron started since he joined Wade and Bosh in Miami and maybe it ends the moment LeBron retires. In my opinion LeBron is done chasing Jordan for supremacy, no disrespect to the LeBron fan base but joining up with Durant and Davis is not something Jordan would have ever considered just because he wanted to actually compete against other elite players but it’s a different era and it’s like LeBron said it when he first came in, when I hang them up I want to say I did it my way. Previous Previous post: Might Kyle Kuzma be the trading asset the Lakers look to use? Next Next post: The Milwaukee Bucks can’t afford to lose Khris Middleton.